Today we will be doing a review for a monthly subscription service called 'Taste Japan'. For just £15 you will receive a variety of Japanese snacks at your doorstep! They ship from Japan to anywhere in the world and I am pleased to report that it arrived my home in England in just 10 days! The food featured in Littlest Sweet Shop are usually models so just keep in mind that these are REAL edible food for us humans (1:1 scale). Japanese food isn't new to me as I was introduced to Japanese cuisine, snack, sweets at a very young age. We had a Japanese neighbour opposite our house and the husband worked as a head chef at the restaurant at the Japan Centre, KL. Japanese people are known to be generous and my neighbour was no exception! He would bring back boxes of leftover sushi and tempura battered veggies from the restaurant. They often went back to Japan and brought us plenty of Japanese snacks including my favourite Caplico. The neighbour kids had an array of Japanese toys and all of their Disney films were dubbed in Japanese! I can still remember watching Cinderella and Lady and the Tramp in Japanese (even the song 'Bibbidi-bobbidi-boo' was sung in Japanese). I fell in love with Japanese culture at a very young age through their pre-teen magazines with advertisements of kimonos with Disney characters on them. I was convinced that Japan was the most awesome country on the planet. Fast forward a few decades ahead, I'm still obsessed with Japanese culture. I don't have time to watch as many animes as I used to but I still read a few mangas and I do cook certain Japanese food like teriyaki chicken, okonomiyaki and Japanese curry. I drink green tea instead of normal tea since I believe that it's a healthier beverage and snack on dry seaweed. My husband who is English/European doesn't really like to drink hot green tea and doesn't like the smell of seaweed so I'm not sure how he would react to uniquely Japanese tasting food. My brother was here during the Easter break so I had the opportunity to review Taste Japan with him. Like me, he is also obsessed with Japan culture. First me and my brother tried the Anpanman Senbei. My husband didn't have any of the savoury snacks so more for us! These are basically crispy rice crackers with a delicious savoury flavour. The colour is a deep caramel and it is sweet and salty and taste a bit like a delicious soy sauce. The only drawback was that it only had a few pieces in a pack and it was really delicious so it just made us crave for more. I knew that we would like any rice crackers since my favourite is the small and flat ones with cheese and almond! Rice crackers can never go wrong. The Anpanman Senbei (blue packaging) reminded me of the plain and tasteless rice crackers that Japanese mothers gave their babies. However this was coated in a sweet and savoury flavouring and had a similar feel/look/taste to Bin-Bin crackers that we had growing up in South East Asia. The flavours worked really well together forming a pleasant sweet and salty snack. Let it dissolve on your tongue for maximum flavour impact! Milk Caramel Biscuit Balls were surprisingly moreish. My husband loved it and it was not too sweet which lets you enjoy the true flavour of the caramel. The coating was a milky flavour and even though the temperature at home was around 10 degree Celcius, the filling stayed smooth and creamy. The biscuit was very crispy and flaky but my husband did comment that there should be more in a pack. I guess this was a serving for one. It was impossible to do a clean cut through this biscuit since it was so crispy! Choco Ball Caramel is probably my favourite item from the box. It was like chocolate coated peanuts but 10 times better! There is a layer of crispy coating around the peanut that gave it an extra crunch. The chocolate coating was thin so the ratio between chocolate to peanut was a winning combination. I wasn't sure which part of it was caramel so I assumed it was the crispy wafer-like shell that cocooned the peanut. OSushiya San is a pack of gummy candy that you can assemble into sushi sweets! They look quite attractive but the fruit flavours (plum, lemon and banana) were very mild. The texture is like Haribo and it was fun to make. Who says you can't play with your food? My brother says the plum flavour was the best! Ume mints is an old-school Japanese breath freshers. They look like mini plums and taste like it too. They are not minty but I'm not sure how it works as a breath-fresher since they are just sweet and slightly sour. I had Japanese plum wine before (with plums in the bottle) so the flavour was very similar. It's packaged in a handy size so you can stash it in your pocket. Jyaga Choco is literally crisps (potato chips) coated in chocolate. It is a deliciously sweet and salty snack that makes you crave more! I've had these before when I was still working in Asia and even told my husband about it. He didn't believe me when I told him that the crisp and chocolate combo worked until he had some for himself. The crisp was ridged and thick (my husband describes it as two Pringles stuck together). The chocolate coating was generous and it tasted more sweet than salty. Uranaigo is quite interesting since even the box had mini games on it. It is a gum from popular Japanese brand Glico and the gum was shaped like an 'Inau'(prayer) stick and even had a traditional fortune on it (in Japanese). The gum itself tasted like Cola. It would have been better to receive a gum with a different flavour since we already have another Cola flavoured sweet in the box. Sour Paper is a long piece of gummy sweet in Cola flavour. I don't think it was particularly sour and it was coated in sugar crystals. I had to finish it in one go since it wasn't easy to tear off but it went down quickly! This is a great subscription if you are interested in exploring Japanese snacks and sweets from home. Each box seems to have a good mix of variety of sweets, savoury snacks and chocolate. I always find their packaging attractive and interesting with the colours that they use and how they use characters to brand their food. The price is also a bargain since my brother lives in London and we know that if we bought the same items here (if we can find it, some items are limited edition and exclusive to Japan) it would cost around £30. You can also purchase a Taste Japan box for someone who has a sweet-tooth, a foodie or even an otaku. I do miss Isetan (Japanese supermarket) and Kinokuniya (Japanese bookstore) before I moved to the UK but Taste Japan gives me a taste of Japan every month. Is your mouth watering yet? 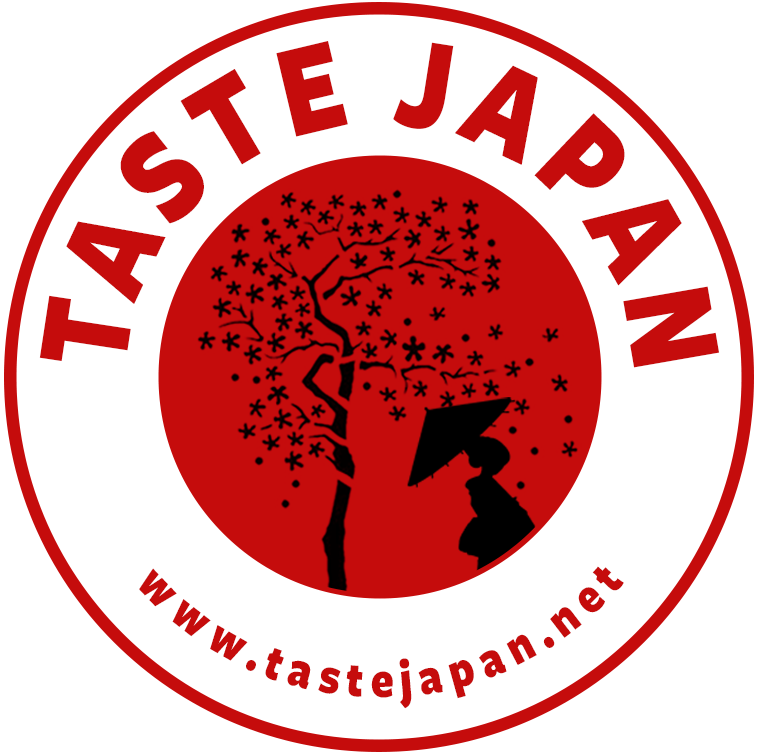 Click here to find out more about Taste Japan. Be back next week for more new Littlest Sweet Shop new arrivals. BYE! You wrote at least 2 times Japan Crate instead of Taste Japan... They are two different companies.